I’m the marketing and communications director for iThrive Games, a nonprofit working at the intersection of game design, mental health, and education. I also volunteer with initiatives that support inclusiveness and diversity in the video game industry. I’ve worked on more than 60 games in various capacities and my clients have included UCLA, Playdom, Playmatics, and Jelly Belly Candy Company. 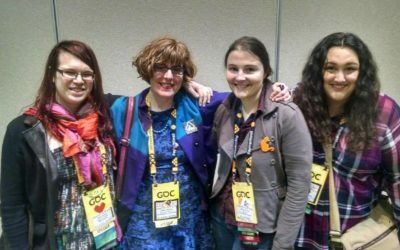 I spun up the original IGDA Foundation’s Women in Games Ambassadors Program (now Velocity) and worked as its director for three years, was the IGDA Perspectives art director for five years, spent five years as chair of the IGDA Women in Games steering committee, and I’m currently an EMBA candidate at SFSU. I’ve been working in communications, marketing, branding, and design since 2004. From overseeing a $1M ad budget to taking a client from <200 to 30,000+ Facebook page likes with “one neat trick,” I employ consent-based marketing strategies to earn customer loyalty and drive traffic. From pushing pixels in Russian, Chinese, and Arabic as an international packaging designer to leading cross-functional teams on re-branding campaigns, I’ve honed a passion for cohesive and engaging visual experiences. I’ve worked on more than 60 released games in a variety of capacities (mostly indie), including Playdom’s Big City Life (writer), Killer Snails (graphic designer), and When Rivers Were Trails (writer). I am deeply passionate about inclusion, equity, and accessibility. This has led to a mention in Venture Beat, an MVP award from the International Game Developers Association, and a five year run as chair of the Women in Games Special Interest Group. 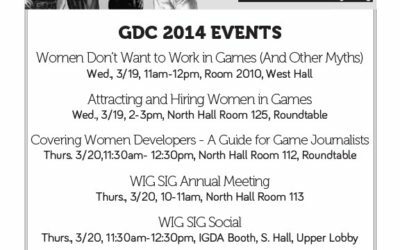 I’ve spoken around the United States at events like Indiecade, GDC, and SIEGE on topics like Empathetic Games, The Importance of Inclusivity, and Brand Leadership for Indies. 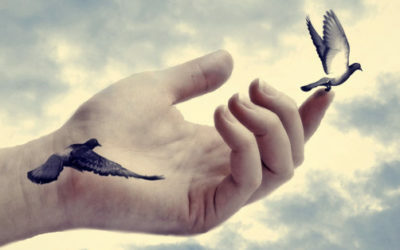 Stories are what brands are built on. I like to ask hard questions and prioritize authenticity as the key to connecting deeply with consumers.